Salem, OR—Governor Kate Brown announced today that she is accepting applications to fill a judicial vacancy on the Oregon Court of Appeals created by the elevation of Justice Chris Garrett to the Oregon Supreme Court. Anyone interested in being considered for appointment must submit an Appellate Judicial Interest Form to the Governor’s Office by 5:00 p.m. on Monday, February 4, 2019. Please note that this form is specific to appellate appointments and is not the form used for circuit court appointments. Interested applicants should mail or deliver the forms to: Misha Isaak, General Counsel, Office of the Governor, 900 Court Street NE, Suite 254, Salem, OR 97301-4047. Forms must be received by 5:00 p.m. on the closing date. Forms emailed by 5:00 p.m. on the closing date will be deemed timely received so long as a later-received original and signed form is postmarked by the closing date. Governor Brown fills judicial vacancies based on merit. She encourages applications from lawyers with a wide variety of backgrounds and experiences. 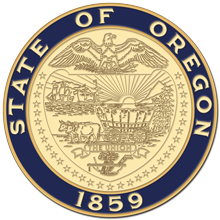 ORS 2.540 provides that a judge of the Court of Appeals must be an elector of the county of residence of the judge and must be admitted to practice in Oregon. To receive answers to questions about the appointment process, or to request an interest form, contact Shevaun Gutridge (503-378-6246). The Appellate Judicial Interest Form is also available online .